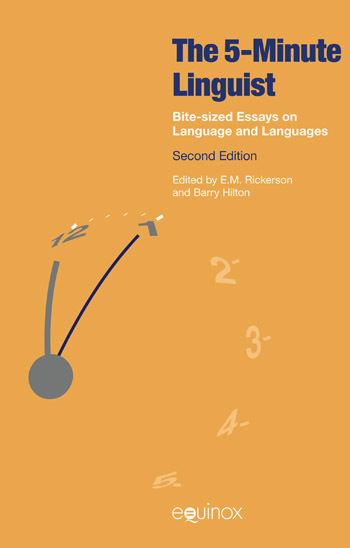 The Five-Minute Linguist provides a lively introduction to the subject of language, suitable for beginning students and the general reader. Originating as a series of popular five-minute radio broadcasts, the book offers brief essays on a wide range of fascinating questions about language such as: What is the difference between dialects and languages? Does our language influence the way we think? Do languages have to change? Accessible and fun to read, each essay is written by a leading authority and offers succinct, insightful answers to questions most of us have wondered about. Now in its second edition, updated and expanded, the book will continue to serve as an unrivaled introduction to language and its mysteries. The second edition of this book was produced under the sponsorship of the Linguistic Society of America and the (U.S.) National Museum of Language. What’s exciting about Icelandic? Pardee Lowe Jr.